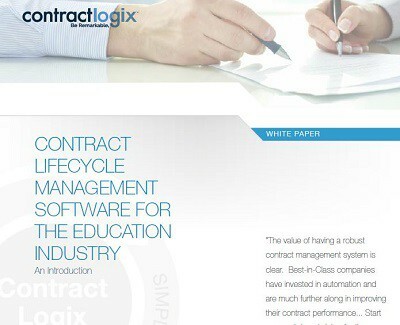 Contract Lifecycle Management Software for the Education Industry. Professionals like you, who work in the education field, have always faced pressure to tighten budgets and do more with less, forcing you to identify, and eliminate inefficiencies. One process that is inherently inefficient when done manually is contract lifecycle management (CLM). This, combined with the need to show compliance with regulations such as Gainful Employment Standards, is moving organizations like yours to seek a solution that will simplify and streamline their contract management process.